If marketers asked more beautiful marketing questions would we not create more beautiful marketing answers? What should those questions be? And why do we struggle to ask them? Part one of this two-part blog featured a review of Warren Berger’s excellent book ‘A More Beautiful Question’ where he explores the importance of questioning in innovation, creativity and entrepreneurship. In this second part I’m looking at how this approach can be applied specifically to marketing and the kind of questions that marketing leaders need to encourage to be asked more inside our organisations. What Are The Most Important Marketing Questions You Ask? Marketing needs to be about asking the smart, relevant questions that help promote greater product development, customer satisfaction, sales and value. Berger shows that innovation is built around the three core questions; Why? Why doesn’t this work better? Why can’t I get this cheaper? Why are our results not what we expected? Then – asking what if? What if we tried it this way? What if we changed this feature? What if we charged less? And finally – and perhaps most importantly, the how. How can we test this? How can we measure that? How do we launch this to avoid the problems of last time? Why. What if. How. Too often, marketing meetings, workshops and discussions do not encourage a climate of conversation or room to ask questions. There is that feeling of marketing ‘déjà vu’. The sense that we have been there before? No new thoughts, ideas and insights but instead the same thinking, approaches and solution. For me, marketing meetings become frustrating due to their lack of challenge, focus and creativity. It is for this reason that over the past three years I have developed MarketingCafe – my approach to building smarter, more productive and sharper marketing conversation. In a variety of meeting environments, from agencies to marketing teams, from partnership seminars to business student discussions – the MarketingCafe method has been tested and refined. At its simplest – it allows small group marketing conversation the time to focus, evolve and flow. 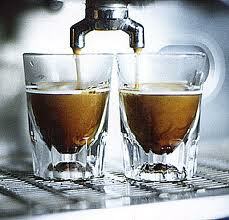 Cafe process provides a structured momentum to explore difficult marketing topics without blame or repetition. Great conversation is encouraged by more than just good coffee. We need sharp, relevant and open conversations without the usual suspects dominating and often it is key questions (as discussed by Berger) – that provide the stimulation we need. It is what I call ‘espresso thinking’. What I have found is that the most successful marketing meetings and workshops see a rise in questions and an opening of debate – not a closing down of discussion and a rush to instant answers and quick solutions. 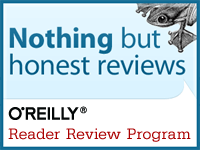 So what kind of questions should marketers be asking more often? Whilst every market is different and every organisation faces its own challenges there are essential and difficult marketing questions that perhaps all marketers should be raising. Here are my five starters. What do you think? 2 – What Do We Need To Stop, Start and Keep Doing? 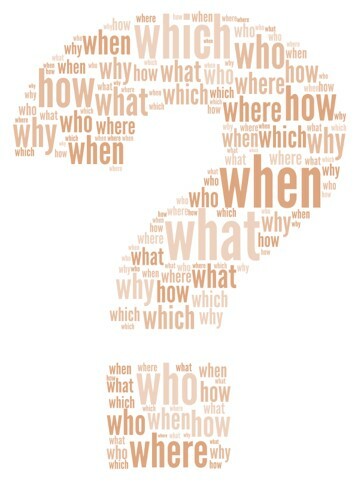 From a tactical perspective answering these three simple yet fundamental questions helps steer and refine our actions. An exercise I frequently use in MarketingCafe workshops and seminars is to give small groups of people the time to develop their answers to these three great questions and raise the debate. Stop. Start. Keep. 3 – What Is The Truth About Our Products, Market And Our Customers? It is said that every country has the myths that it likes to believe and the hidden truths it prefers to hide. I think brands and organisations are the same. Our statements, brand guidelines and visions and communications can give a false reading as to where we really are. If we don’t focus on our core truths – including what we do wrong as well as what we do well, it is difficult to move forward. Truth is best uncovered objectively with clear insights and measures. Blame and finger-pointing encourages secrets and number gymnastics. Encourage a culture of honesty and questioning and maybe, we will get to our marketing truth. 4 – What Business Are We Really In? Theodore Levitt’s seminal article on Marketing Myopia in 1960 still resonates today and this key question is still brilliant in its simplicity and importance. Answering it requires us to focus on where our brands and business’ are heading and just as critically – what business we are not in. 5 – Do You Have A Marketing Job – Or Are You Creating A New One? Warren Berger refers to the work of Seth Godin and others by encouraging us to continually ask questions about how we personally fit into the future and where we are truly heading. What new skills are we learning? How are we adapting to the changing marketing landscape? Who are we collaborating with? Which partners are we nurturing and developing? And why should other people across our organisations take the lead from marketing? As a marketer, are you continually creating your new role in the business? These are just my starter questions. What do you think? Perhaps you disagree? Let me know. Maybe you have some more beautiful marketing questions you can pose? 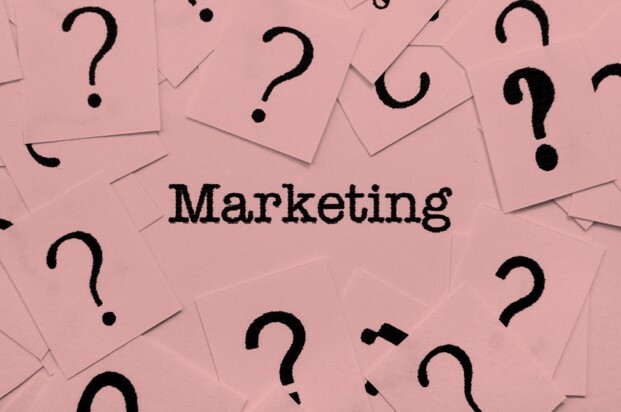 I am interested in exploring the range of marketing questions we should be asking so please let me know the questions that will create more beautiful marketing answers – and leave your comments below. You can read my original book review here. Or contact me here.